POSTED: Wed, 11/20/2013 - 06:00 | POSTED BY: Traci C.
The holiday season is in full swing at Downtown Disney with the start of the annual Festival of the Seasons. 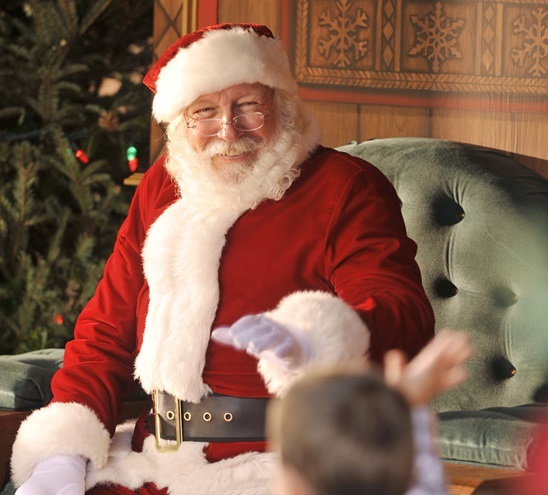 The Festival of the Seasons runs through December 30 and brings special holiday touches to the Downtown Disney area, complete with twinkling lights, a Christmas tree, live entertainment, and even Santa Claus. The entertainment during the Festival includes holiday carolers, stilt walkers, a holiday dance party, and performances of holiday songs by Latin, jazz, and pop performers. 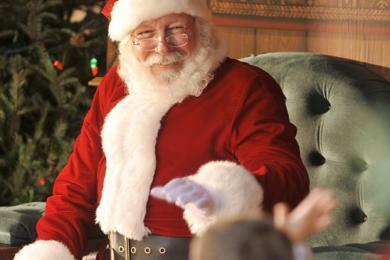 And, guests can visit with Santa daily as he holds court in his winter chalet. Of course, you can't have a holiday celebration without shopping and guests are sure to find that perfect gift in Downtown Disney's specialty shops. And new for this year, Disney has just released a special Walt Disney World holiday gift card featuring Mickey and Minnie in front of Cinderella's Castle. The cards also include magical features activated by your smart phone. Guests can find the holiday gift cards throughout Walt Disney World, and once purchased it's easy to "Add Magic" to the card. Once you've purchased the card, simply scan the QR code or visit AddSomeMagic.com. Then, play the video and rotate your phone to landscacpe while placing the gift card in the upper left hand part of the screen and you'll see the fireworks fill the sky behind Cinderella's Castle. Check out the Vine video here. Can't wait to see it for the first time. We will be there in 2 weeks!!! I know that you'll have a great time Candi!